This 2 bed apartment in Alanya is only 500m from the beach, set in a small development close to the centre of Alanya, Turkey. 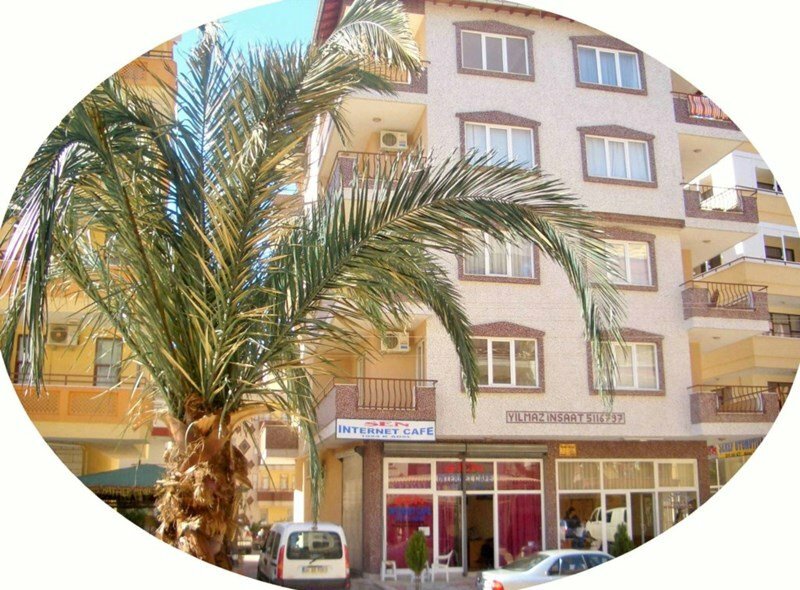 Cleopatra Apartments is a quiet development, yet is only 500 metres from the beautiful Cleopatra beach, and a stones throw from the centre of Alanya and all it`s shops, cafes and restaurants. Furnished to a very high standard, with it balcony overlooking the shared pool in the next apartment block, this beautiful apartment has so much to offer those wishing to be close to all thats going on in Alanya, and to all it has available. Alanya itself is a very cosmopolitan resort, catering for young and old, with it`s many historic places of interest, along with plenty of excellent shops, cafes and various restaurants offering traditional Turkish dishes, and of course, food aimed at the thriving tourist community. The harbour area is one of many focal points, with many, many busy boat trips daily, but in the evenings, and at night it explodes into a myriad of bars and night clubs that act like a magnet to all who like to dance and socialise to the max. Alanya castle though, is the main focal point, going back to the 13th century when it defended the region from foreign invasion, and now welcomes thousands of tourists every year, allowing them to soak up its ancient memories and enjoy the breathtaking views from its equally ancient walls! There is also 2 single sofa beds in Living area.